I can barely handle this level of charming. Read more Dork Tower comics by John Kovalic and be sure to visit Desousza's shop! That is absolutely adorable. I kinda want a furry Olaf plushie now. You're right! 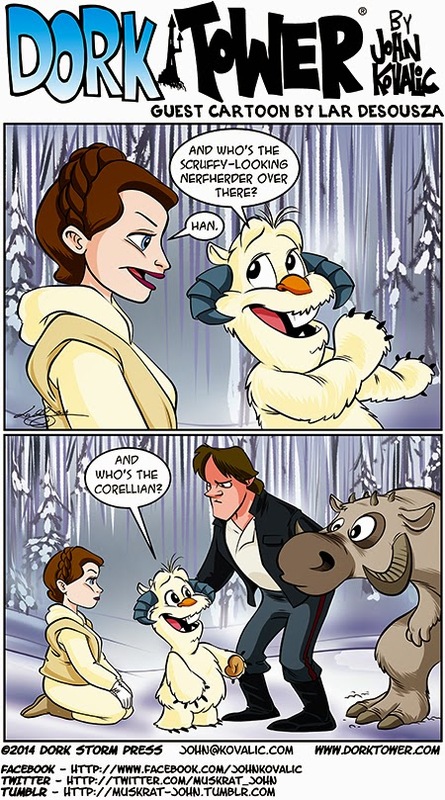 I got so obsessed with the Sven-tauntaun that I got mixed up! An Olaf wampa or tauntaun plushie would possible help assuage my hatred of Frozen.